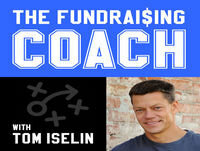 The Fundraising Coach will teach you the same tactics and strategies I’ve shared with thousands of non¬profits to help them raise hundreds of millions of dollars. You’ll learn everything you need to become an expert at raising money and building a high-performance, winning fundraising program. I’ll be interviewing industry experts, and I’ll have specific “tactical” shows from my playbook that will help you raise more money than you ever thought possible. So tune in . . . and RAISE MORE MONEY! Episode 05 - How to Raise More Money by Not Asking for it! Episode 04 - The 5 Tragedies of Forcing People to Ask for Money! EP. 4 Skinny For What? !